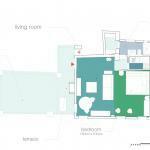 Very nice well equipped apartment in an ideal location. 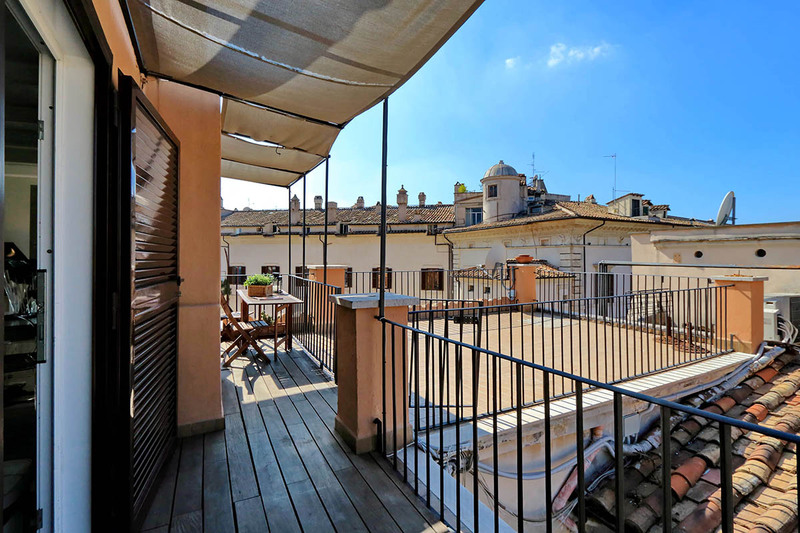 The entire experience with Rome Loft was very easy and accommodating - from booking, through helping us at ate notice with an early arrival, sorting out minor issues with the apartment, Would highly recommend! A salad spinner and an oven is missing. We stay at Borgo Pio apartment ! lovely stay ! perfect apartment to be rented out ! fully equipped with necessities that we need during our stay. superb condition. very very close to vatican museum and st peter basilica ! will definitely come back and stay here ! highly recommended to others ! We're sold. Our stay was great. We'll look Rome Loft next time we're in town for sure! Enjoyed our stay. Apartment was very convenient. Lots of light. It was raining, so we couldn't enjoy the terrace but it was very pretty. Bed was very comfortable - we appreciated the warm, soft comforters. Mr. Honey was very prompt and effecient. Gianni the driver was right on time and we had a comfortable, quiet ride in his lovely BMW. Appartement très agréable à vivre grâce à sa grande terrasse. Idéalement placé. Service compétent de Romeloft (taxi, ménage ...) je recommanderai Romeloft. Sitting on the 6th floor, the lovely terrace has a wonderful view of the city below. The elegant building has a lift to the 5th floor (after which there are a few steps to go up to the apartment). Brightness and sophistication are two words that perfectly describe the best features of this apartment. 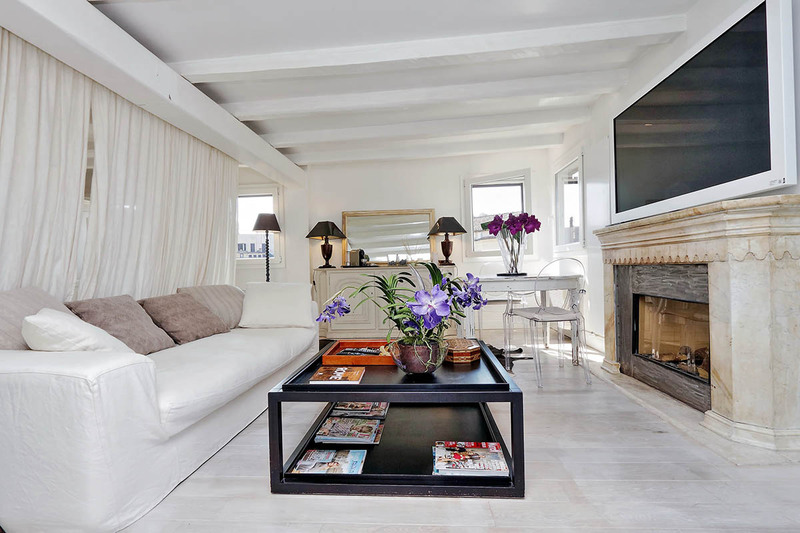 White furniture and white wooden ceilings add an open and clean touch. They beautifully reflect the bright sunlight that floods the space with warm light. Furthermore, the loft features a chic decorative fireplace, two white sofas, a 42″ flat screen TV, a white wooden table with chairs and a great library. In this open space, you will also find a comfortable king size bed with bedside tables and elegant lamps. The apartment also offers air conditioning, as well as Wi-Fi which is available to you at all times. 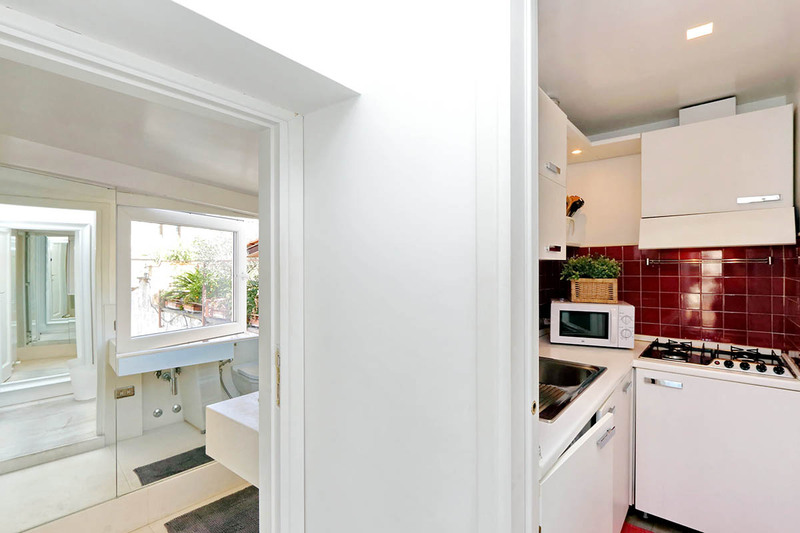 The Spanish Steps Terrace Apartment also offers a kitchenette that is very well equipped, with a fridge, freezer, gas stove, microwave, electric kettle, little oven, and Nespresso machine. You will find also a washing machine and a dryer. The bathroom comes with a shower and hair dryer. 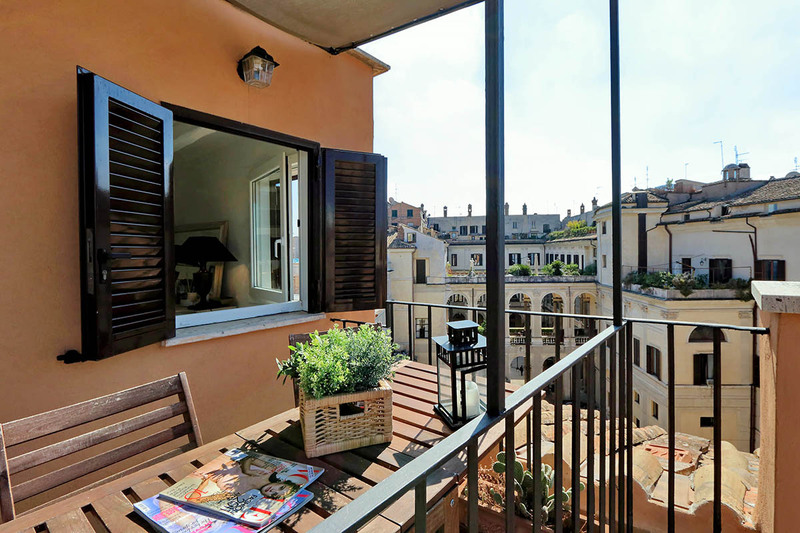 From the window you’ll see beautiful views over charming Roman rooftops. 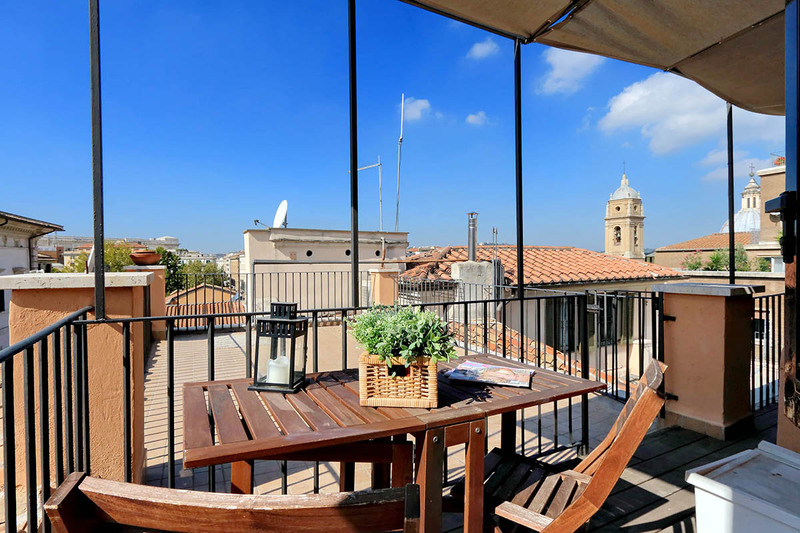 This loft features a pleasant terrace where you can enjoy the mild Roman weather, as well as breathtaking views over Rome: you can easily recognise the most famous and important Roman landmarks at a glance. We highly recommend this fantastic unit to couples who enjoy cozy but open spaces. In this amazing location you will find yourself in the middle of the historical centre. 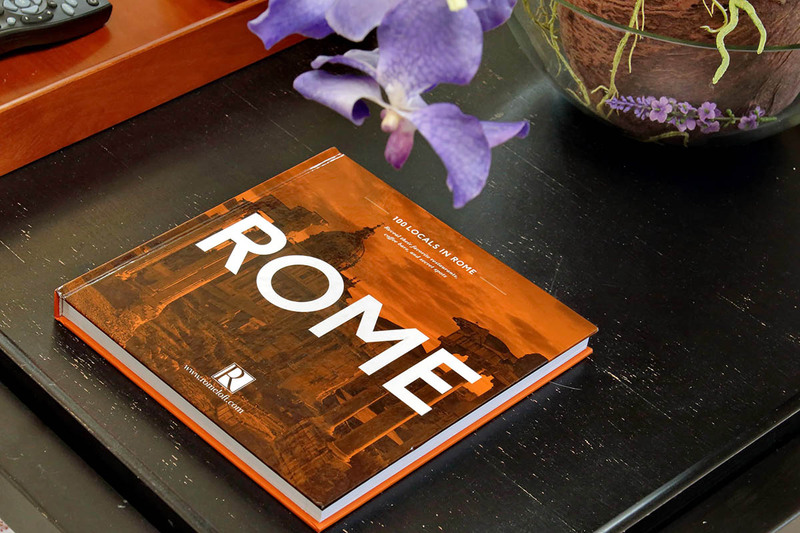 As such, all of Rome’s most interesting and beautiful attractions are just footsteps away. For example, just down the Via del Corso you will find the Piazza del Popolo. 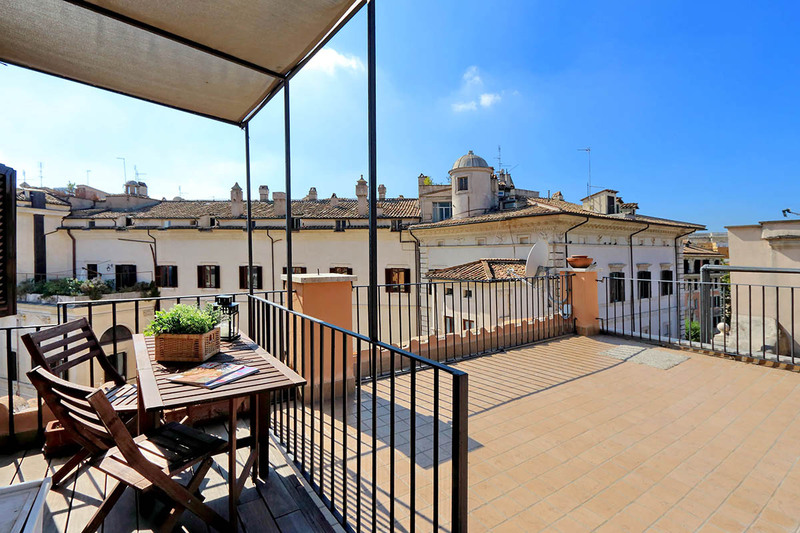 Above this lies the stunning Villa Borghese park with sweeping views from its Pincio Terrace. From here you can look out over the piazza below and also the Prati area, in which the Vatican City lies. To save time, you can use the Metro A to arrive very close to the Vatican at the Ottaviano stop. Following the Via del Corso in the other direction you will arrive at the Piazza Venezia, which is also near the Colosseum and the Roman Forum. These are all also reachable by metro. You can take the Metro A from the Piazza del Popolo or the Piazza di Spagna through to Termini, and then from here take the Metro B through to the Colosseum. Heading West you will reach the Pantheon, Piazza Navona, and Trastevere. The Trevi Fountain is nearby to the area. In addition to this, you will be close not only to restaurants and bars, but also supermarkets and pharmacies. The Spagna district is very elegant, and enjoys hosting a refined crowd in and amongst its stylish restaurants and designer shops and boutiques. The shower and hot water could be a lot better. Dishes, glassware and kitchen utensils, etc. are a 'mixed bag' of well used items. This apartment is better than that. Only problem we had was on checkout. I thought I had confirmed by replying to your email a car transfer to the airport but I guess there was a miscommunication. When I c...Read Morealled in to the office to enquire while standing out of the street waiting, there was no attempt to be helpful. It was 'Here's the phone number to call a cab and good luck to you.' That was not my overall experience with Rome Lofts which had been, up to that point, very helpful and efficient. Great location for central Rome. Good use of space, a kitchen we barely used apart from kettle and washing machine. The open plan living bedroom area worked well for us. Good storage. Comfortable beds and a terrace which weather permitting we would have sat out on more. Welcome Staff arranged a replacement key for us within 30mins-impressive! The ...Read Moreloft is not for the fainthearted or physically inactive-there is a small lift and /or lots of stairs. I struggled getting the shower hot enough most days. I think a wee freshen up of decor and furnishings and I would have given it 5's in my rating. The sofa looks grubby, the floor gets dirty quickly and there was nothing to wash it with. Two mugs one chipped..... There are no smoke alarms-maybe not used in Italy but 6 floors up I would have been happier with one! The location can not be beat! My husband and I walked everywhere--- this is very centrally located. It overlooks the Villa Borghese and we very much enjoyed the huge terrace with excellent views. 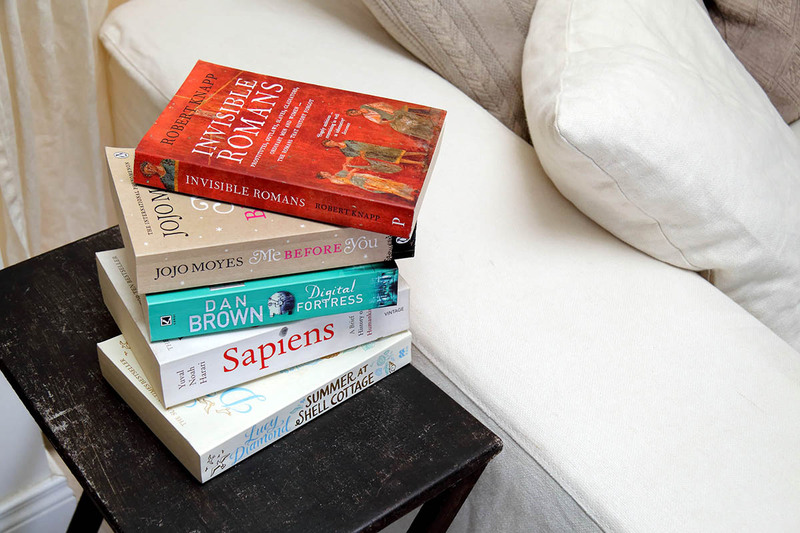 The apartment is beautifully decorated and thoughtfully filled with hotel-like amenitities, including robes, rain ponchos, extra satchels, travel guides a...Read Morend English books for reading. The apartment is a proper old city space, for good and bad---if you are larger than average you may have a few challenges. my 6'5 husband could not stand up straight in the shower and the final flight of stairs from the elevator is very steep and narrow. While there is an elevator to the fifth floor, it is very tiny so we never used. The bed is a proper American king size, but very, very firm. My only complaint was that they were out of Nespresso pods for the coffee machine. Luckily there are tons of cafes only steps away. Great location, and we very much enjoyed our stay here. My husband and I stayed at the Arancio terrace loft for a week. 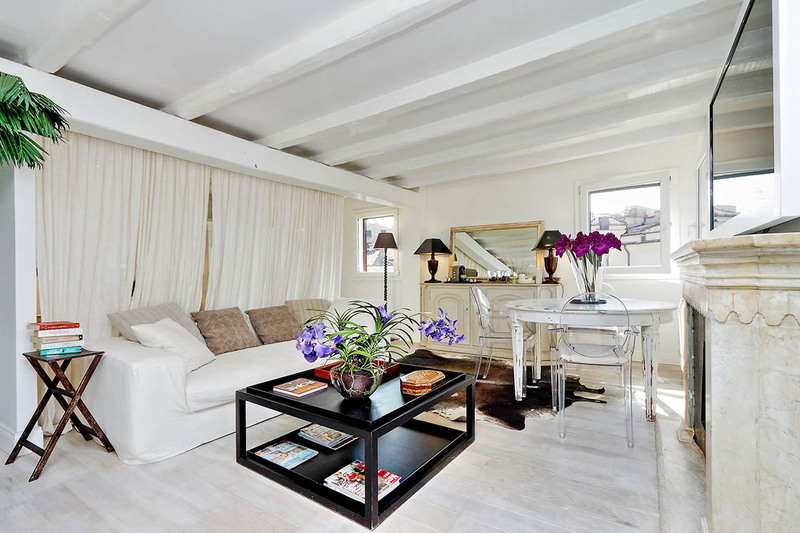 The location of this apartment is perfect, its very convenient to all the major sites we wanted to see in Rome. The staff was very helpful and friendly. Overall the loft was nice, however, its definitely a studio, and not a one bedroom. There is a curtain between the sleeping and ...Read Moreliving areas, however, its all one space. We were a little disappointed that although there is a terrace as promised, the actual terrace is not furnished, so not very usable. It would be wonderful with a couple of deck chairs and an umbrella. 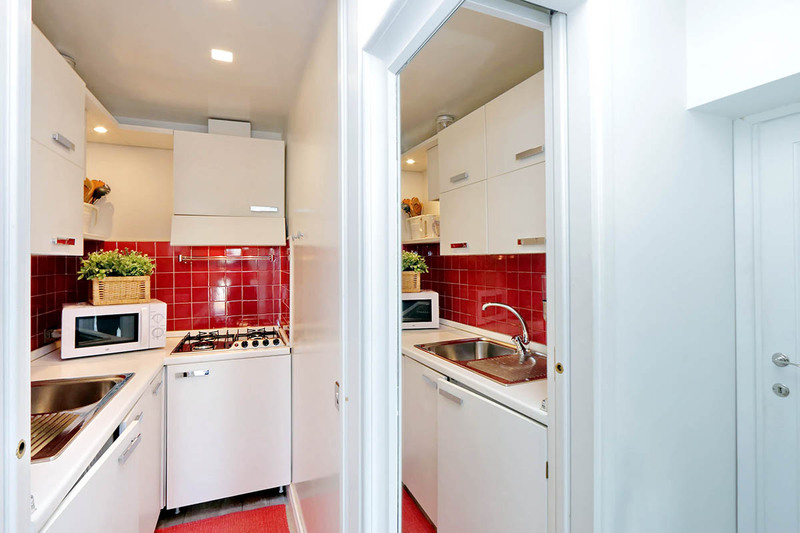 The kitchen is also a studio kitchen, so not really meant for cooking and the fridge is dorm-size. To us, this was not a big deal since we really enjoyed Roman restaurants. We opted for the airport pickup, which was flawless. Although a bit more than a cab, the convenience was worth it. great apartment, not easy to access with heavy luggages because of the steps to reach the last floor, but got help from Marteen. Apartment is really nice, confortable and well decorated. 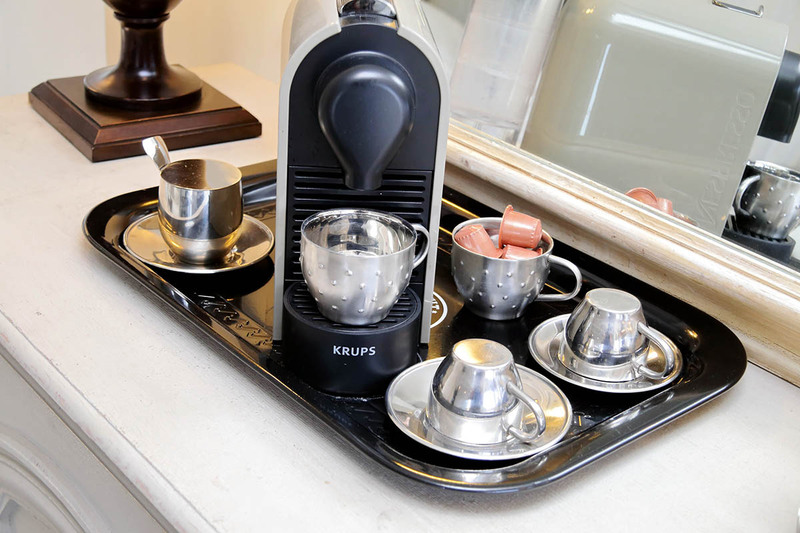 We would have appreciate few additional things as coffee for the Expresso machine, paper roll in the kitchen and toaster....it would have been a nice welcoming t...Read Moreouch. Only Internet access was a problem but Rome Loft solved it We really appreciated to be able to leave at noon instead of 10.30 am. Really appreciate Rome Loft response and availability to help whenever it was necessary. We spent 4 nights in this lovely apartment. It had everything that we needed, Wifi, washing machine, fantastic new bathroom and great little terrace. The apartment was very secure and had a beautiful light and airy feel. It had the most amazing little family run restaurant about 1 min walk away, we loved it so much we went back 2 nights later. Grea...Read Moret location for visiting all the sights. Plenty of amenities in all directions but also in a quiet little nook. Wouldn't stay anywhere else next time we come back to rome. Our apartment was lovely but not really for two couples, maybe a family of 4 as the other bedroom was a sofa bed in main lounge and the only bathroom was only accessible by the main bedroom, not ideal. But Honey our representative was brilliant and very helpful. Bewarned about the restaurant directly outside, we stopped for a drink waiting f...Read Moreor Honey and they were along time presenting the bull, that is because they printed a manual one so that they could add on a 10 euro service change which apparently they were not allowed to do. But Rome, beautiful, apartment was lovely, would definately vist again and use Rome Lofts. We had a lovely time on our honeymoon in this well equipped apartment in a great neighborhood. The apartment sits on a hilltop that requires you to climb over 100 stairs or a winding street but the views from the balcony and rooftop terrace are well worth it. 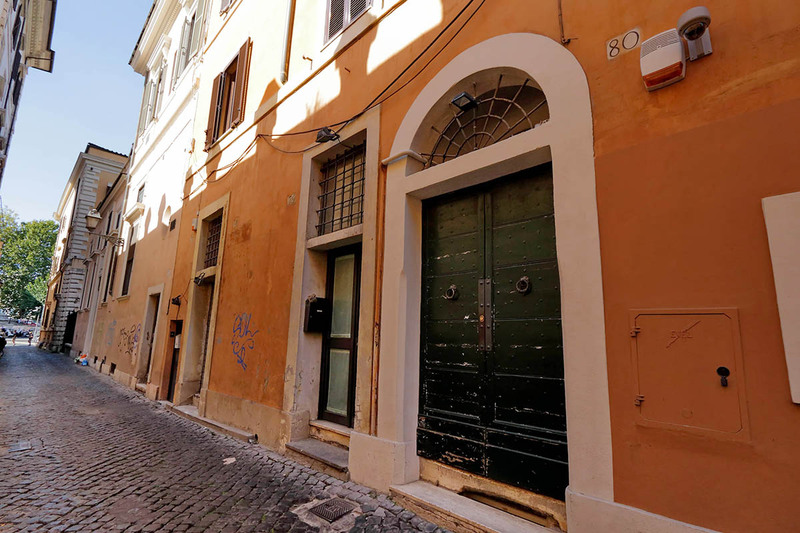 Although the apartment could use some tlc and updating (used/stained furnishings and rugs ...Read Morewhich we were told occurred because a visitor left windows open during rain) we really enjoyed the privacy and experience living like a true Roman. Rome Loft was a pleasure to work with and it's local staff that drove us from the airport and met us at the apartment were very accommodating. We loved being able to do a load of laundry before departing for our adventures in other cities. The highlight was the bedroom enclosed by glass up on the rooftop terrace level which offered amazing views of the Vatican and Rome skyline. 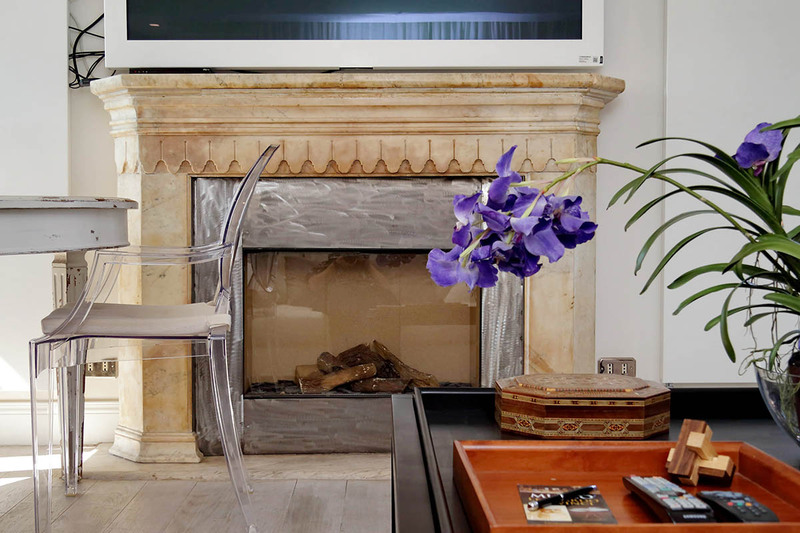 We wouldn't hesitate to work with Rome Loft in the future. This terrace loft apartment is in one word - stunning. The place is immaculately clean with all the luxuries (soft bed, A/C, fully functioning kitchen, and a HUGE bathroom). And the location can't be beat. 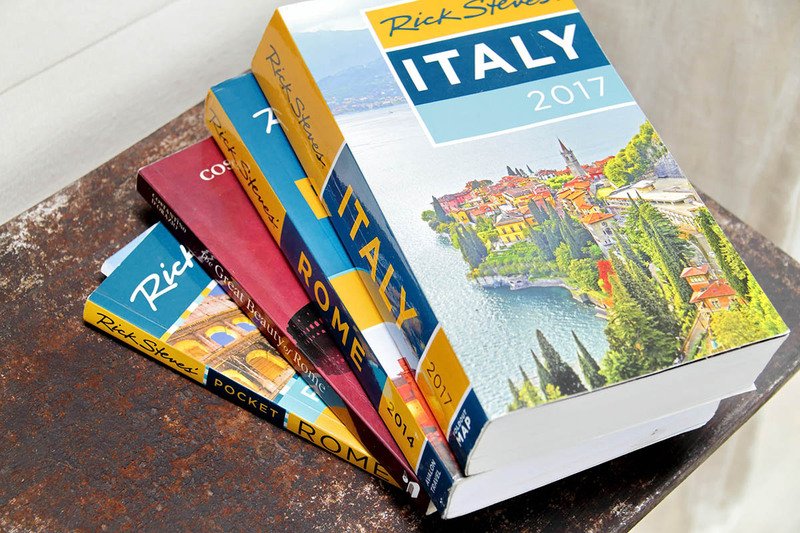 It's a few steps from the Argentina bus/tram terminal which connects you easily to the rest of Rome, short walking distance to Travest...Read Moreere, and of course, easy access to all the amazing places in the Jewish Ghetto. One thing to note, the apartment owner actually lives in the same unit (this apartment is an apartment within an apartment) and you can sometimes hear him through the kitchen wall. There is an elevator but you still need to walk the last couple floors. But I promise you that the views are worth it. Oh, one last thing. They say that the Jewish Ghetto retains that old Rome feel and they are right. Actually, while my husband and I were there, they were filming a WWII movie in our courtyard! Our only regret was that the local bakery was closed for the week - - sigh. We had a fantastic couple of days in Rome, and the apartment was absolutely perfect - In a great location, clean and enjoyable. We were very late meeting Mr Honey as we got very lost in our car around the city of Rome but we were grateful he waited for us - just one piece of advise to Romeloft is to make people aware that the time you give as your...Read More arrival time needs to be kept to, we, in our ignorance picture him just turning up from a local office and had we had more of an idea that the poor man is on his own running round Rome greeting everyone we certainly would have contacted him earlier or arranged a different time. But in summary I would definately recommend Romeloft, the booking system worked perfectly from start to finish, the apartment is a very high standard and Mr Honey is an absolute star. The flat is situated in a very centre of Rome. 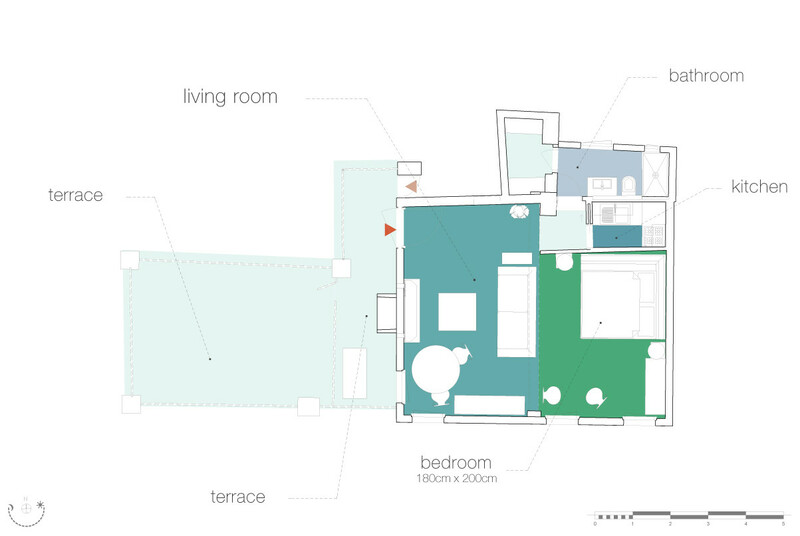 The Trevi fountain is in 20 m, but the flat is quite enough. Very well furnished. Without elevator. For those who travel in summer: here is a very good air condition in one flat and bad in the second one. The flat's owner is very kind. Please be aware that the apartment is difficult to reach by car if you are unsure of the area. Lovely views. As advertised, this apartment was indeed cozy but it was also spacious, definitely roomy enough for our family (two adults, two children--the double sleeping couch in the living area might not comfortably fit two larger people unless they were pretty cozy themselves, and there is air conditioning only in the master bedroom). It was clean, light, a...Read Morend quiet, and beautifully located for anyone interested in the centro, Vatican city,or Trastevere. The flat included plenty of linens and conveniences for cooking and relaxation; it had obviously been updated recently (with excellent taste!) and it was immaculately clean. Being jetlagged, we misunderstood our instructions and had a little trouble with the key to the flat but Rome Loft's manager responded to our query quickly and courteously. 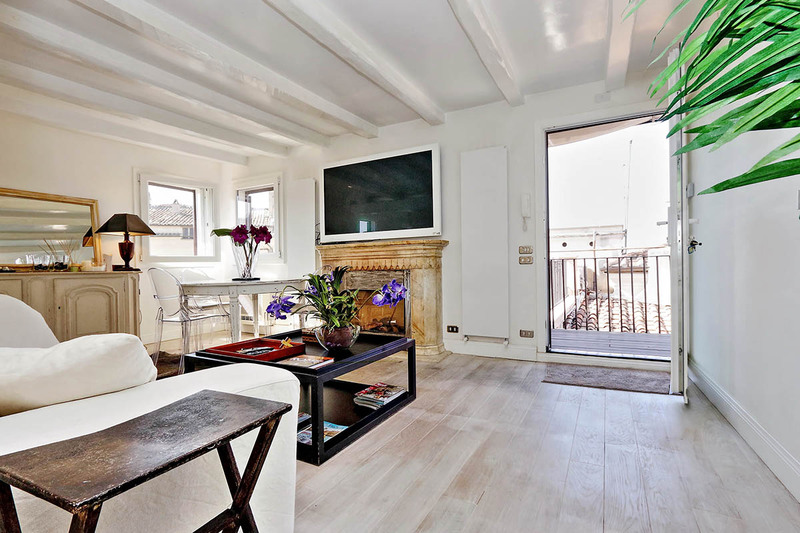 A lovely vacation stay; we would definitely book with Rome Loft again. 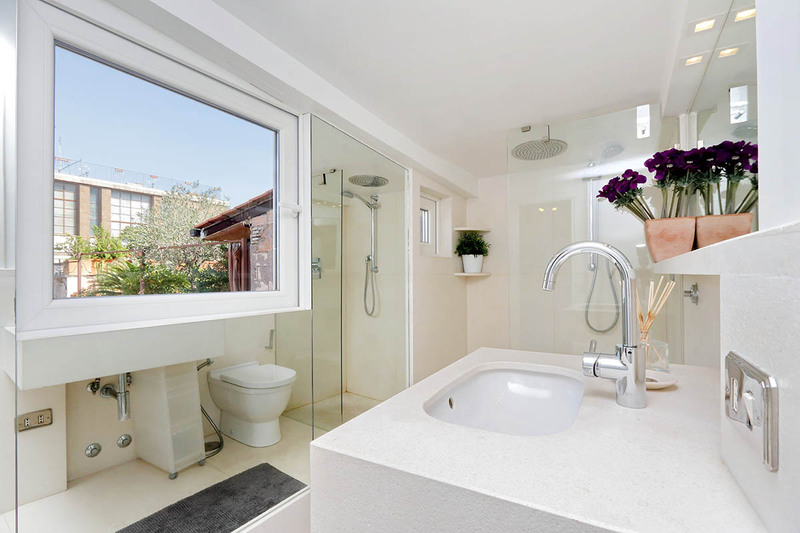 Whilst the apartment was clean and looked well presented, there were some issues which left us feeling that it was not ideal for our requirements: The kitchen had no microwave,toaster - or kettle There were only 2 toilet rolls, when there was a family of 4 using 3 toilets! There were no curtains on the 'front door' which the peop...Read Morele sleeping in the living room found disconcerting Also due to the location of the apartment the front courtyard had no sunshine which meant that we didn't sit outside, and the balcony overlooked the windows of the hotel directly opposite However the arrangements for the stay were very well organised and all ran very smoothly. Hello Lorenzo, Thankyou for the opportunity to stay in your delightful apartment! Couldn't be in a better location! Thank you Rome Loft - the apartment was wonderful - our little haven in the middle of Rome. It was fantastic just walking out the door and having everything on your doorstep - like the the Spanish Steps, shopping, Trevi, Pantheon, everything in walking distance... and the metro. The apartment was light and airy and so clean and functional. Honey...Read More was fantastic in meeting us and showing us around the apartment and everything went off without any problems. The only drawback to the apartment is the flights of steps up but it wasn't a bother for us because we were travelling light with luggage (which is a must tip for anyone travelling) and we enjoyed the climb to exercise off the wonderful Italian food that we ate so much of. Again - thank you. Our stay in Trastevere at The Rome Loft was perfect. The apartment is well located in a bustling area, on a quiet street. It is well equipped, and very clean and charming. Mr. Honey could not have been more helpful. We would use Rome Loft again! I just wanted to say Thank You Rome Loft! We had a fantastic time staying in your apartment in Rome last weekend. it was well equipted, a brilliant location and everything we needed for our short stay. The service was fantastic and we were all very happy with our trip. Since coming back I've passed your details on to a number of friends and...Read More will definitely continue to recommend you. We returned to Rome for a short stay before flying back home. This apartment is so cute! It was perfect for our short stay. The tiny elevator was so nice to have, and the decor of the apartment beautiful. 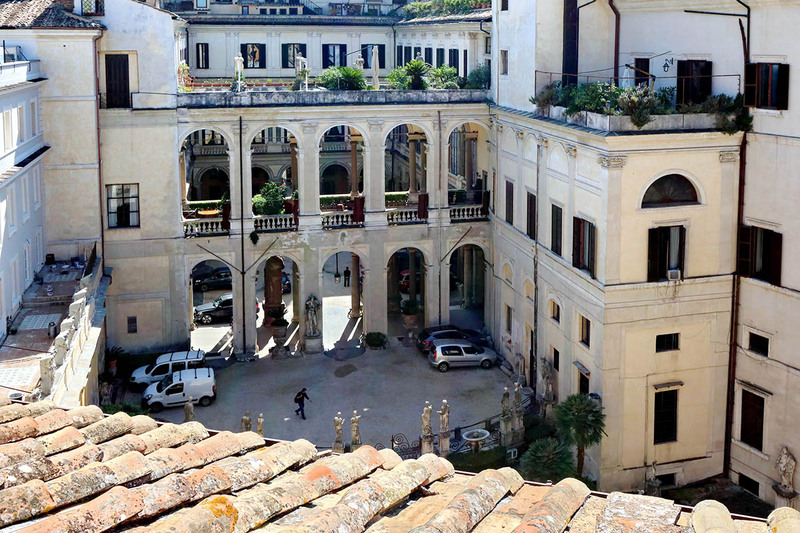 The view from the terrace is very pretty, overlooking what seems to be a convent on one side, and the Palazzo Borghese on the other. Once again, ...Read Morepicked this apartment for the terrace, hoping to enjoy evenings with wine and a peaceful end to the day. The terrace was better than the one we experienced at the Trevi Luxury Terrace apartment, but still had dead plants, no chairs and a very lonely rusted table. Didn't fit at all with the loveliness of the inside of the apartment. We enjoyed walking everywhere from this apartment and found the best gelato just around the block which was a nice surprise! Sibilla arranged for transportation again for us, and that was a very nice amenity. Thank you for an enjoyable stay in Rome. We look forward to returning! The view! The view! The view! This apartment has the most beautiful views of Rome. 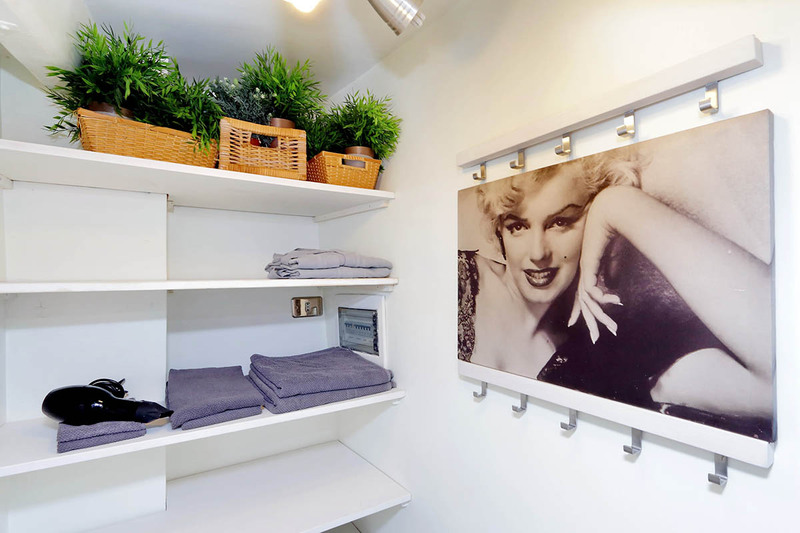 The apartment has everything you will need while in Rome. Try having breakfast on the terrace, especially if you are up to see the sun rise over the hills. The bed is comfortable and there is plenty of storage in the room. This apartment is located in a quiet resi...Read Moredetial area but close enough to the bus line to get to all the sites easily.